This is Summit’s fifth seasonal beer, and it will be released between Winter Ale and Maibock, offering a refreshing flavor to break winter’s icy grip and hasten the spring thaw. The suggested food pairings are equally rejuvenating: jerk chicken and pork, south Indian curry, pepper jack cheese and Irish Salmon. The ale is bursting with the warm, spicy goodness of malted rye with hints of chocolate, toast, and caramel. The blend of hops – including a new experimental variety – lends a citrusy, floral hop aroma and flavor with an enjoyably bitter and dry finish. Digital images of the Frost Line Rye are available upon request. For more information about the brewery and upcoming events, please visithttp://www.summitbrewing.com. Founded in St. Paul, Minn. in 1986, Summit Brewing Company has stayed close to its roots, serving the Upper Midwest and Great Lakes region. Summit’s beers are currently available in 18 states including Minnesota, Florida, Illinois, Indiana, Iowa, Kansas, Kentucky, Michigan, Missouri, Nebraska, New Jersey, North Dakota, Ohio, Pennsylvania, South Dakota, Texas, Arkansas and Wisconsin. 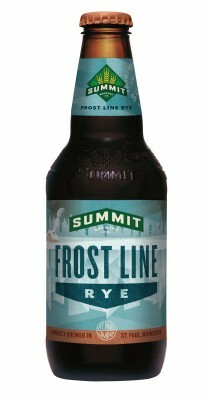 Summit now produces 14 varieties of premium craft beer, including seven year-round, five seasonal beers, and the limited release Unchained Series and Union Series. Since its inception, the brewery has been a consistent pioneer in the craft beer movement. Chuckanut Brewery invites you to our WA Beer Open House! After years of success the Washington Beer Commission continues this tradition, featuring some of the state’s most innovative, esteemed, and downright friendly craft breweries. Chuckanut’s Brewers are proud to take part in this tradition and will be available on Saturday, Feb 22, from 12:30-4:30 pm to show off one of Washington State’s most hi-tech breweries and answer any of your beer-burning questions. 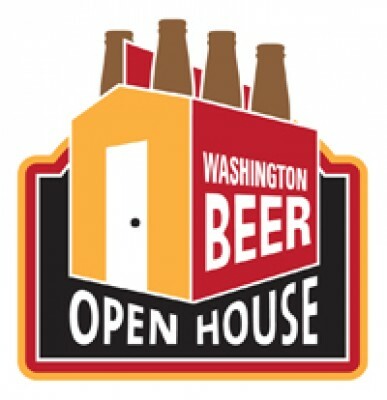 Many of you (home brewers) might have taken advantage of the WA Beer Open House last February. This year the Brewers will continue to share valuable information about Chuckanut’s processes that can help with understanding how beer is made. Each year Chuckanut Brewery offers Keller Beer samples, beer taken directly from the fermentation tanks, yeast and all! We advise you to start early with your friends and be at Chuckanut Brewery when the doors open at 12:30 and the first tour begins. Tours will continue at 1:30, 2:30, and 3:30 pm. After visiting at Chuckanut you can move on to the other Bellingham breweries and see how they brew their beers. Bring water and stay hydrated between stops. Make sure to stop in the Kitchen for some delicious food to help fortify your beer quest. Finally, don’t forget to bring your growlers to fill-up or buy some of Chuckanut’s newly bottled beers! Chuckanut Brewery & Kitchen, located at 601 West Holly St, was awarded the National Small Brewpub/Brewer of the Year 2009 and National Small Brewery/Brewer of the Year 2011 at the Great American Beer Festival in Denver, CO. The full service “Kitchen” is open daily at 11:30am to guests of all ages with an eclectic fresh local menu. Bar specials include: HOPPY Hour Sun-Thurs 4-6pm, Monday Night $3 Pints, Kolsch Night Tuesday’s and more. Check out additional information about Chuckanut Brewery & Kitchen atwww.chuckanutbreweryandkitchen.com. CORK AND CARLOW, Ireland – Ever wonder how the Irish celebrate St. Patrick’s Day? Wearing green, having large feasts and drinking pints of the Emerald Isle’s greatest consumable goods: Irish beer. But not all Irish beers available in the U.S. are created equal or even brewed in Ireland proper for that matter. This St. Patrick’s Day, keep it real and celebrate with O’Hara’s Authentic Irish Craft Brews. Each beer style is crafted using classic brewing methods to create the traditional Irish beer styles that have long been forgotten by the larger breweries. 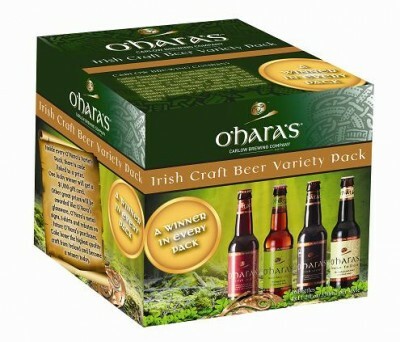 To satisfy consumers’ thirst for variety, O’Hara’s is offering a Limited Edition Variety Pack, a collection of four award-winning, authentic, best-loved Irish brews just in time for St. Patrick’s Day. In addition to featuring O’Hara’s Irish Stout, O’Hara’s Irish Red, O’Hara’s Irish Pale Ale and O’Hara’s Leann Follain, each variety pack will include an $8 rebate. Consumers can also enter a sweepstakes on the O’Hara’s Facebook page to win prizes, including a grand prize of $1,000. Another bonus during this St. Patrick’s Day season is a U.S. visit from Seamus O’Hara, the founder and owner of Carlow Brewing Company, who will embark on a Barnstorming Tour to share his passion for Irish and craft brews alike. He will make stops in Philadelphia, Minneapolis/St. Paul and Denver with more cities to be announced soon. “For most American St. Patrick’s Day revelers, there are two options –choke down a watery domestic beer dyed green or drink an overrated Irish stout that’s usually brewed anywhere but the Emerald Isle,” said Sean O’Grady, US brand manager for O’Hara’s. “If you think you’ll never stray from your favorite traditional Irish Stout, I urge you to think again. Time and time again, one sip of O’Hara’s Irish Stout has die-hard stout-lovers swearing off that other Irish beer.” And they aren’t alone. O’Hara’s Irish Stout was named as one of Draft Magazine’s Best Beers of 2013 with a rating of 97 while the other brews in their portfolio have won awards in Ireland, Sweden, Israel and America. (Minneapolis, MN) - It’s nearly February, and fans of coffee stouts already know that means the return of War & Peace is imminent. Beginning at noon on Saturday in our taproom, it will be available — as is the case with all Garage Series — for a very limited period of time. The taproom will be offering $6 (10 oz) pours and 750mL bottles to go for $15 each (limit 2, until we run out). To add to the fun, our friends from Peace Coffee will be there sampling their delightful brews as well. In the following weeks, you’ll happen upon War & Peace around the metro on draft and in bottles. Mark your calendar for Thursday, February 6th, when Butcher & the Boar will be tapping not only one of the first War & Peace kegs, but also Patience and one of just a few kegs of Libertine that’s been aged in special Butcher & the Boar edition Knob Creek bourbon barrels. Yum. Never had War and Peace? It’s our Russian Imperial Stout conditioned with whole bean Peace Coffee in the tanks. It’s an epic work of beer, featuring historic quantities of chocolate malt, roasted barley, and dark roast Peace Coffee. Like Tolstoy’s masterpiece, it may take some time to finish, but by the end, we think you’ll find yourself better for the effort. (San Diego, CA) – In February 2014, Green Flash Brewing Co. will be entering Northern Michigan after a successful roll-out in the Southern parts of the state in October 2013. The San Diego based craft brewery is partnering with 11 distributors to support the North Michigan rollout including Alliance Bev, Alpena Bev, Bayside Bev, Dan Henry, Eastown Distributors, Gerry’s Distributors, I.H.S. Distributors, John O O’Sullivan, O&W, Powers Distributors, Wicksall Distributors. In October, Green Flash entered the market with hyper-focused distribution efforts in South Michigan’s larger metropolitan areas like Detroit and Grand Rapids. The Northern launch will focus on key cities in the region including Lansing, Ann Arbor, Kalamazoo and Flint. The distribution lineup will include the entire Green Flash portfolio including West Coast IPA™, Hop Head Red™, Double Stout and all seasonal rotations beginning with Palate Wrecker ™ upon launch. 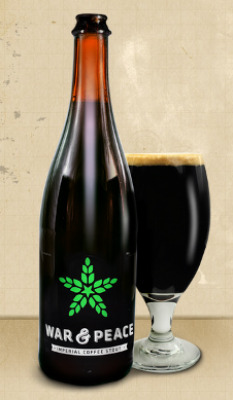 In addition, several Green Flash special and limited release offerings, including the popular Hop Odyssey series, will be available in the market. The Green Flash team will host a series of kick off events in the aforementioned key cities starting in early February. There will be ongoing activation in the on and off-premise, including guided tastings, concentrated sales training and a variety of consumer events. This will be backed by heavy display and point of sale activity as well as ongoing events that will extend beyond the launch. 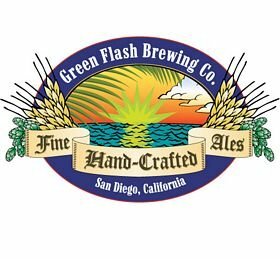 Green Flash Brewing Co. was established in 2002 by the dynamic husband and wife team Mike and Lisa Hinkley, and is now one of the leading breweries in San Diego’s thriving craft beer community. In 2004, renowned Brewmaster Chuck Silva joined the Green Flash team to develop the brand’s lineup of signature brews including their West Coast IPA™, an award-winning beer that has helped define a category. The Green Flash lineup of premium, seasonal, collaborative and barrel-aged beers have found a niche in the craft beer market and the brand has a strong national following. Green Flash is now available in 48 states with Hawaii and Utah being the only remaining exceptions.